This weekend, we found ourselves in need of a birthday gift for a close family friend who is really hard to buy for! A few years ago, I made him a fall colored runner for his table and he has kept it there ever since and really seemed to appreciate it. So we decided that a new table-runner would be just the thing. Now he will be able to switch them out for a bit of a change. We thought he might like a bamboo design because he is a big fan of Asian cuisine and clean modern designs. 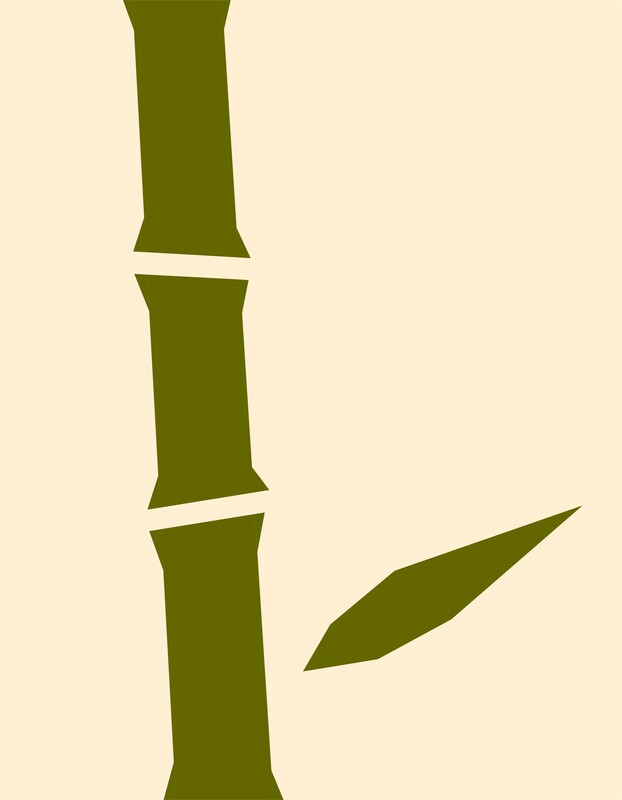 I thought bamboo had the potential to be transformed into a simple, modern, appealing design. I started by designing a paper pieced bamboo block pattern in EQ7. I played around with some layout possibilities and decided to make four blocks with a bit of a border. I incorporated the mirror image of the block into the design as well. 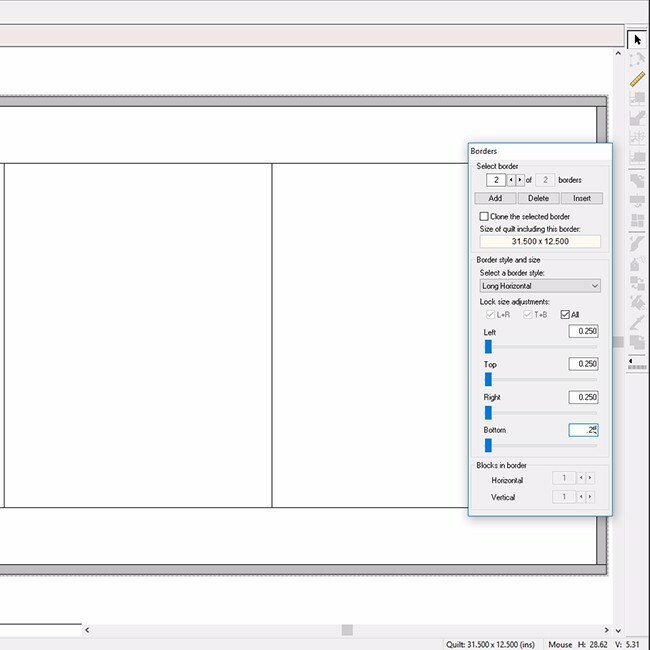 EQ7 allows you to print your foundation patterns as mirror image or not. I used both; as I often do. Two of my blocks are mirror images of my original design and two are not. Then I inverted two of the blocks because I like a table runner that you can enjoy from all sides of the table. While working on designs, sometimes I like to add a second border that is .25 inches wide. 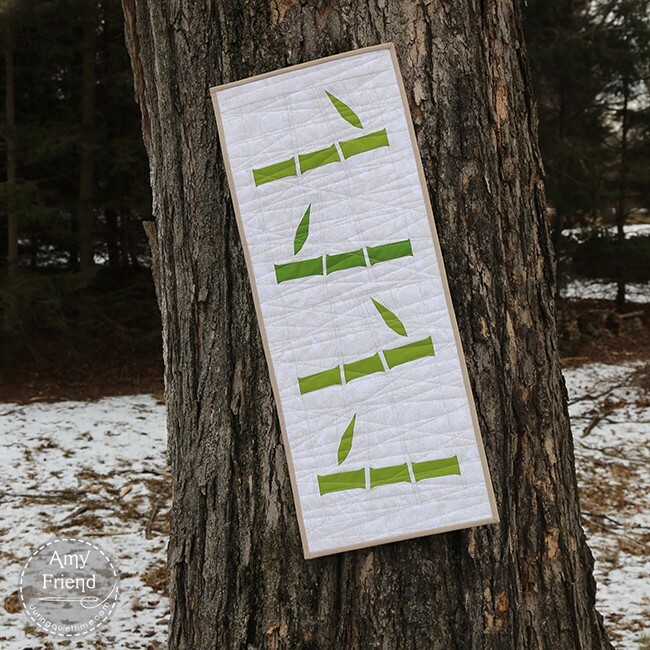 It’s a handy way to mock up your binding in the quilt top design layout. This is how my layout looked in EQ7. See how that narrow second border mimics binding? It can be really helpful in auditioning binding choices when you just aren’t sure. You’ll notice that I made one bamboo stalk a darker green, just for added interest! This picture shows the quilting nicely. 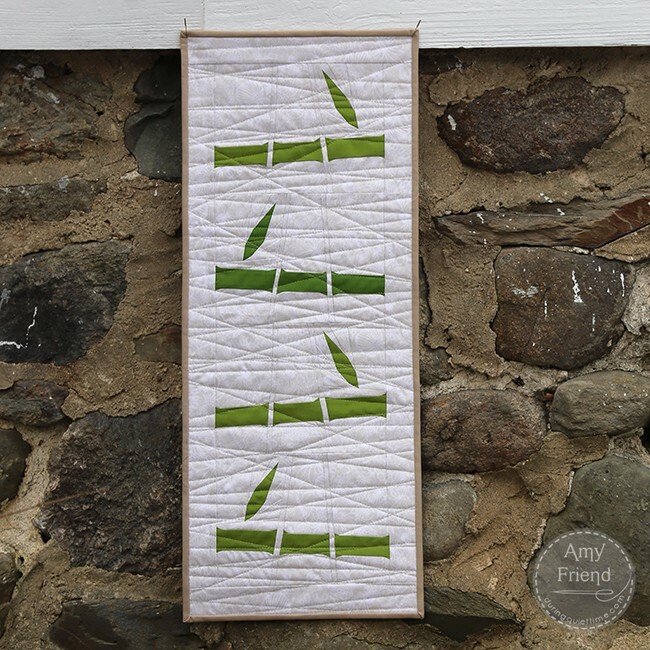 I used a 50 weight beige Aurifil thread and a series of criss-crossing straight lines to suggest the angles of bamboo stalks. I used blue painters tape and followed it with my walking foot to make those lines. I used about 6 pieces of tape so that I could stitch a number of lines, then adjust the tape and quilt some more. I really like the minimalist yet recognizable design that was achieved. I hope he likes it! I will have the block and table runner pattern in my shop soon.